Today, great marketing requires great content – and a lot of it. We’re far beyond creating a few web pages or even writing several 140 character tweets a day. In fact, we believe that the next evolution of content marketing is brand journalism. 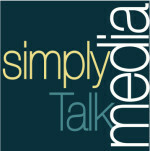 Simply Talk Media specializes in journalist-quality custom media – the credible, authentic, fact-based content that search engines love. Our expertise sits at the intersection of journalism, PR/marketing and technology. We bring the best of the worlds of journalism and marketing together to help organizations promote thought-leadership and drive traffic to their websites. Call us at +1 609-577-4075 or tell us how to reach you.